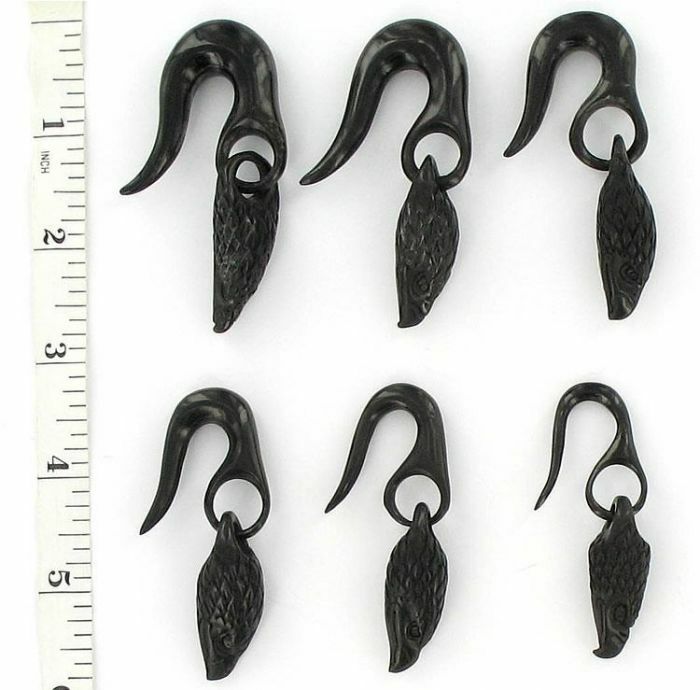 Eagles Face on Horn Hangers Natural Organic Body Jewelry 4mm - 12mm - Price Per 1 Please Note: All Natural Jewelry will vary slightly in color and size. We do our best to match up the two most alike. Since our Natural Line is made from the best Craftsman there is very little variations between pieces. Eagles face is carved from Black Wood while the part that goes through your ear is Horn.